Want to know how to arrange a dignified funeral at an affordable cost? We have put together this guide to help you understand how you can save thousands arranging a funeral. In fact you can arrange a simple, basic cremation for just $695. Cremation offers an inexpensive and flexible alternative to a burial service. Choosing cremation services can save you 40% to 60% (or sometimes more) on the cost of traditional burial services. This is because a casket is not required, or embalming (unless required) and there is no immediate need for a cemetery plot or burial vault. Eliminating these just these few products and services saves thousands of dollars alone. A cremation can offer a more flexible alternative that can accommodate families who have moved from their home state, or when a funeral cannot be held straight away. Cremation also offers a greater range of personalization options with a whole array of ash-scattering ceremony possibilities, and various cremation artifact products. What different cremation alternatives do I have? There are 3 main types of cremation service options. A cremation funeral – where the funeral service is held with the deceased present and a cremation is conducted after the service. A cremation memorial – where the cremation is conducted before a memorial service is held. This can be with, or without, the cremated remains present and can often take the form of an ash-scattering ceremony. Or there is a direct cremation – this is where the deceased is cremated with no services, and the remains given back to the family. There are some variances around these 3 main options, such as a private viewing before cremation, an observed cremation, or a graveside interment of a cremation urn. How much does a cremation cost in Fort Smith? The cost of a cremation can vary considerably. This will depend upon the type of cremation service you opt for and the cremation services provider you select. A full-service cremation with a service will cost in the region of $3,000 – $5,000, depending upon the length of service held and what kind of casket you purchase or rent. 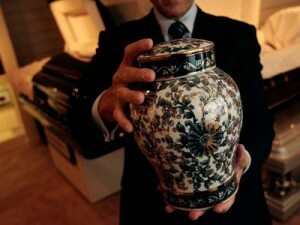 A direct cremation will cost between $695 and $2,500 (depending on the funeral home used). If you are working to a budget for your funeral expenses, you may wish to consider a direct cremation. A direct cremation is the cheapest cremation option. The funeral services provider does everything to take care of the immediate disposition of the deceased but no viewing or services are held. 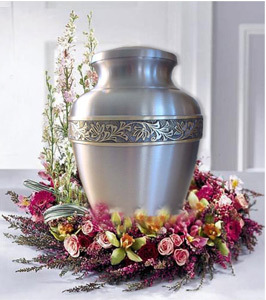 The deceased is cremated in a simple cremation container and then the cremated remains are made available for the family or collect (or if requested delivered/mailed). A direct cremation can be arranged online or by phone without any need for you to visit a funeral home. For your best price on a direct cremation contact your DFS Memorials provider in Fort Smith on (479) 259-2818 who offers a complete direct cremation package for just $695. How do I choose a cremation services provider? This can sometimes be a daunting task when there are several funeral homes to choose between. It may help to set yourself some clear criteria to help you select the provider that best suits your needs. Which funeral services provider you select can be influenced by what facilities and services they offer, or what budget you have. As we have highlighted, costs can vary quite significantly between funeral homes for the exact same service. 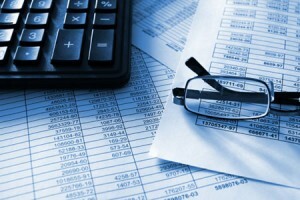 For this reason we would recommend you compare some costs before making a decision. All funeral homes have a general price list (GPL) and this should itemize all services and charges. Legally a funeral home must provide you with a copy of their GPL if you request cremation price information, either in person or by phone. When comparing costs and services check what IS included, especially with a budget direct cremation package. Is a copy of the death certificate included? Is the cremation permit an additional cash advance item or included? What about if an out-of-hours collection is required? Is there an additional daily refrigeration charge if the cremation does not proceed after 48-hours? A death certificate costs $10.00 for the first and $8.00 for each additional copy. What legally do I need to know about arranging a cremation in Fort Smith? There are a few legal requirements that you need to be aware of if you are considering cremation. Firstly, the legal next-of-kin must all sign the ‘Cremation Authorization Form’ before a cremation can proceed. In Arkansas there is a mandatory 24-hour wait period after death before the cremation can proceed, however, before a cremation can proceed the doctor must sign and fill out the cause of death, and the county health department must issue a permit to cremate. The deceased will be refrigerated during this period, and longer if required, however you should be aware that many cremation packages will only include refrigeration for up to 5 days and will charge you a daily rate thereon. Death certificates cost $10.00 each. This is often considered a ‘cash advance’ item and not included in a quoted cremation price. The funeral director will generally obtain the death certificates on your behalf. Can I preplan a cremation? Yes you can prearrange a cremation. Advance planning can help to ensure you get the most appropriate services provider for your needs, and can save surviving family the financial and emotional burden at the time of death. There are various options open to you to plan ahead so consult with your preferred services provider. As I mentioned earlier there is a versatility on what you can do with cremated remains. You can inter a cremation urn in a cemetery plot or niche, keep an urn at home, scatter the remains or create a cremation artifact such as a cremation diamond, glass paperweight, bird bath or memorial reef ball to name but a few! Sadly there is little financial aid that supports those families that find themselves struggling with funeral costs. Most counties do have a budget for indigent funerals but this is generally for those individuals who truly are indigent. Some counties do have limited funds to help low-income families with cremation costs but this can vary county by county. You would need to make inquiries with Sebastian County Human Services Department to find out if any assistance is available to you. In these cases often the most basic of funeral services will be supported, with limited control over what happens. A low cost direct cremation from a budget provider can be arranged for $790. Some funeral homes now offer this option in Arkansas. This is referring to whole body donation whereby after the donation is complete the remains are cremated (free of charge) and then returned to the family or scattered. Generally funeral homes can get a referral fee from the whole body donation organization, plus they sometimes charge a transportation fee. So all-in-all they do still recoup their costs. As we all know, there really is nothing that is truly free! This entry was posted in Cheap Cremation, Cremation Providers, Finding a crematory or cremation provider, How to Save Money on Funerals, Medical Examiner and tagged affordable cremation AR, cheap cremation service, cremation costs, cremation plan fort smith, direct cremation, discount cremation, help with funeral ar by Cremation Advisor. Bookmark the permalink.